MTN Ghana, the leading telecommunication company in Ghana congratulates all women on the occasion of the International Women’s Day celebration. 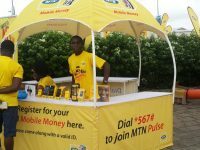 MTN says it acknowledges the efforts Women make towards making Ghana a brighter place. International Women’s Day which is celebrated on 8th March every year, is a global celebration of the economic, political and social achievements of women past, present, and future. The theme for this year’s celebration is #PressforProgress. As part of activities to commemorate this year’s International Women’s Day, MTN Ghana is organizing a talk for its female staff at MTN House in Accra under the theme #PressforProgress – Women in Technology. 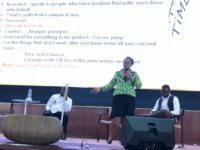 The in-house program will bring together facilitators such as Taaka Awori, Managing Director of Busara Africa, a Pan-African Leadership Development Firm and Thelma Quaye, a member of the Institute of ICT Professionals Ghana and a Technical Consultant. 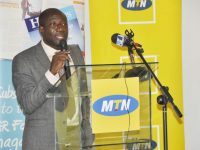 The occasion will be used to launch the “MTN Women in Technology Development Program”. 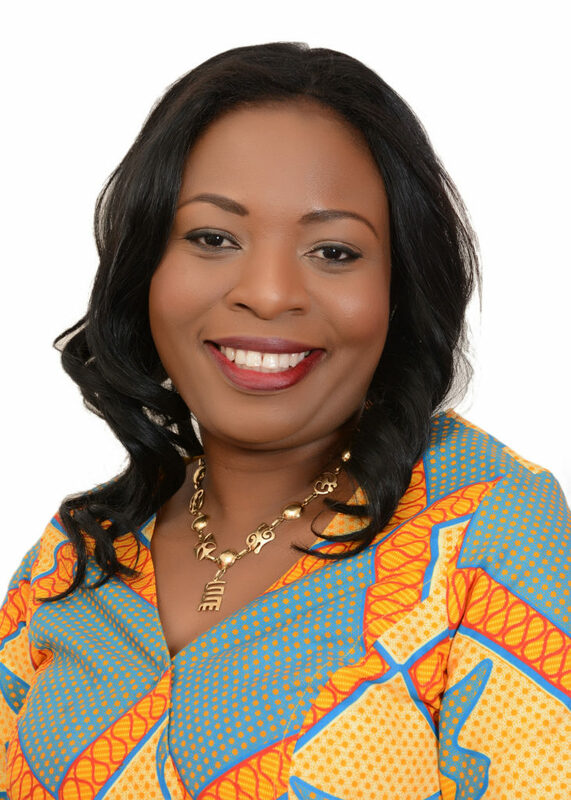 Sharing insights on International Women’s Day, Mrs. Pala Asiedu-Ofori – Acting Corporate Services Executive said, “MTN values the contribution of women in the socio-economic development of Ghana. We also cherish the valuable contributions of women in championing MTN’s success story”. Commenting on the celebration, the Human Resource Executive Mrs Amma Benneh-Amponsah said, “On this occasion, we celebrate all women who are challenging the status quo and making it in their various fields of endeavor. MTN celebrates Women for the diversity they bring to the work place. Kudos to all women who are also taking advantage of the digital age to improve their wellbeing,” she added. MTN Ghana also used the occasion to commend civil society organizations and all those leading local actions to ensure gender parity by promoting reform and highlighting challenges facing women for a brighter world. MTN Ghana on its part remains committed to the development and welfare of women particularly in the areas of economic empowerment, maternal healthcare and education. 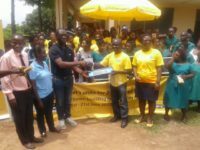 The MTN Ghana Foundation since its establishment has commissioned several projects aimed at improving maternal health in the country and also empowering women economically. 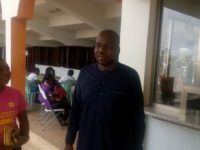 Some projects undertaken includes, refurbishment of 2nd floor of Korle-Bu Maternity Ward, Construction of NeoNatal unit for Tamale Teaching Hospital, Construction of Girls Dormitory Block for Apam SHS, Construction of 15 Bed Children Ward for Twifo Praso, Construction of 20-Bed Maternity Block for Ejisu Government HospitalDonation of incubators and medical equipment to select hospitals across the country, distribution of hampers to mothers of babies born on Christmas Day. In the area of Economic Empowerment MTN recently completed the Girl Code Project aimed at training women in Apps development. 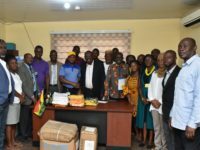 MTN Ghana Foundation also provided, support for Women in Palm Production at Juaso in the Ashanti Region, Tizaa Dini Women in Shea Butter and the Sung Suma Women in Shea Butter in Upper West region. In addition to the developmental projects, MTN Ghana continued to demonstrate its commitment by empowering women in various ways. Out of its total workforce, MTN has over 50% women in its employment with some of them occupying Executive and Senior Managerial roles. MTN congratulates women on International Women’s Day for their commitment to the development of Ghana.